When it comes to fantasy football, SunDream Team will occupy one of the top places to the list. Why are they getting so much popularity among players today? Here, you can play the private and mini leagues and fill your life with excitement. Not only that, but you can also win a huge amount of 1 million pounds as prize money. In the history of fantasy football, the Sun Dream Team always acquires a unique place as they have the biggest prize fund. If you have crazy about football games and always have the dream to own and manage your team of football, the SunDream Team will provide you what you wanted so long. You can make several entries as they offer multi-entrants facility here. Therefore, while playing the solo games, you will get highly experienced team managers against you with their efficient team. It will give you the opportunity to learn from the strategies of the experienced player and make progress in your game. There is a simple rule of winning the game at SunDream team. If you want to secure a big win, you need to invest a good amount of cash and must have knowledge about the game and its nooks and corners. You should watch every game minutely so that you get an idea about the performances of each player in different teams. Also, you will be acknowledged with the injury and bad performance of players, and you can make your team based on these. If having multi-entrant managers are one of the essential features of the Dream team, the high volume of transfer windows is another reason why they are getting so much popularity. There are two windows, offered by the Dream Team, through which you need to make all your transfers. Therefore, the team managers get the opportunity to tweak their team twice a year, and they can transfer up to 6 players each season. It helps them to run several numbers of teams altogether. Initially, it seems that the setup of transferring is quite helpful for managers to manage their teams. By limiting the transferring method only within two windows, the Dream Team has made it easier for those who can’t spend much time on the game and can’t always check out the players’ list and transfer them. The first transfer window opens after three months of the starting of the league. It helps the team manager to decide to remove players who are injured or not performed that much well in the last season. The ‘Golden Gamble’ system of Dream Team permits the managers to fine points of 3 weeks to tweak their team until the end of August. The timing of the first transfer is advantageous for the team manager as playing as a team than solo is always beneficial in Dream Team. Here, you get the opportunity to choose 11 players from the player's list within the budget of 50 pounds or less. You can choose two types of formation- either 4-4-2 or 4-3-3. The special feature of Sun Dream Team is that they have only two transfer windows; one is in October, and the other is in January. The team managers are allowed to make up to 3 transfers through each window. That means they can transfer six players in each season. The ‘Golden Gamble’ option is really attractive of Sun Dream Team which allows players to delay their final selection of team members up to August. Team managers fortify their points to take this advantage to build the initial lineup. Scoring system is quite exclusive than its contemporaries and pretty simple too. When any selected players make goals at the original matches, they are awarded 5 points. Now, if the player makes 3 or more goals, h gains extra 5 points. In case a defender or keeper earns clean sheets, he gets 5 points while the midfielder is awarded 2 points. If keepers or defenders fail to save goals, they also lose points. If any player ever gets a red card, it will deduct 3 points. There is certain exclusiveness in the scoring system at Sun Dream Team. Here, if a player scores more than seven according to the Sun rating in each match, he will get 3 points. There is a provision to the ‘Star Man’ of the SunDream team who earns additional 5 points. If any individual player scores top at any season, he will be awarded additional 20 points for his team. There is also another unique scoring system of Sun Dream team. Presently, if any player makes it possible to appear on the News of the World ‘Dream Team’ on Sunday, he will get extra points on Saturday. They earn 2 points for their team. The finest players of each team earn 8 points. Sun Dream Team only includes matches in Premier League, FA Cup, Champions League, the Carling Cup and UEFA Cup. How to Pick a Winning Team? If you have started just now, you know that getting strong running backs can keep you at a good position on the league table. Before selecting players, you should concentrate on the reviews. You should have clear ideas how the fantasy football is being operated. A thorough homework is essential before selecting your team. Check the cheat sheets where you can find peer values of the players. Concentrate on the matches and minutely observe each players performance. You should not rethink to remove players from your team who are injured or not at their best phase. 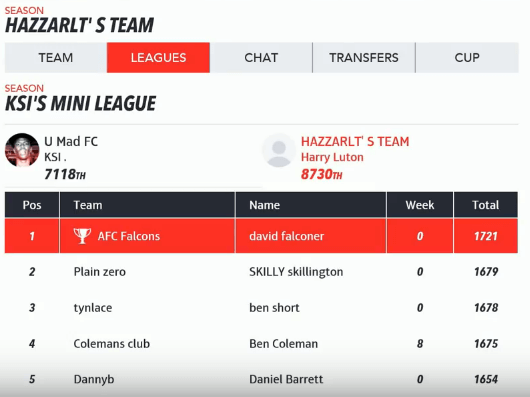 Hopefully, this review of the SunDream Team will make you know more about the fantasy football. Make your dream come true and own your football team.